Arbor has more than 260 hectares for in ground growing in Belgium, and another 220 hectares in France. Solitary ornamental bushes and conifers, multi-stemmed ornamental bushes and replanted trees are available in all sizes. In Vicq, France, the emphasis is on replanted standard trees. Arbor can always deliver them in large numbers, thanks to the extensive acreage. The major advantage of Arbor is the type of climate in which the nursery produces trees. A plant species grown in Belgium or France is better resistant to winter than plants from warmer climates. 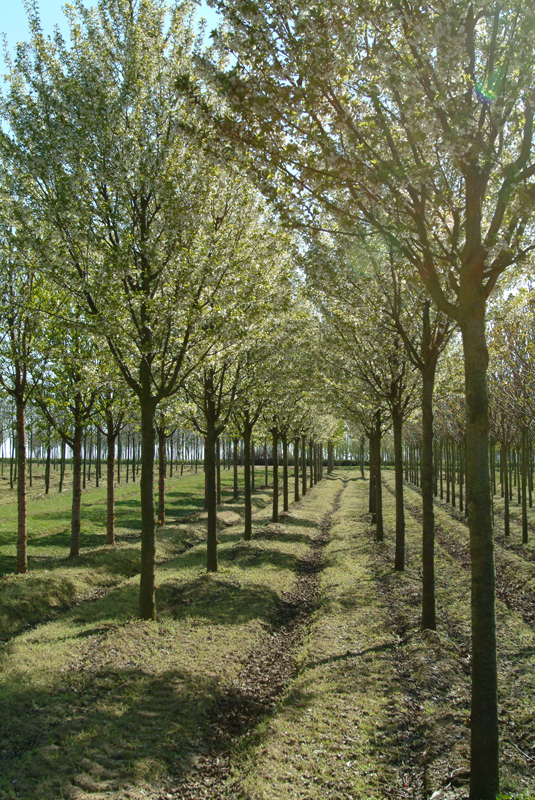 Thanks to its large nurseries, Arbor can fulfil nearly all orders from its own production. The winter hardiness of the different plant species and varieties available from Arbor are mentioned on the plant sheets from the online catalogue. Please note that this classification is not universal. Plants which sprout early because of favourable weather conditions can still be damaged by night frost.